The Hunts & Events section has been updated! 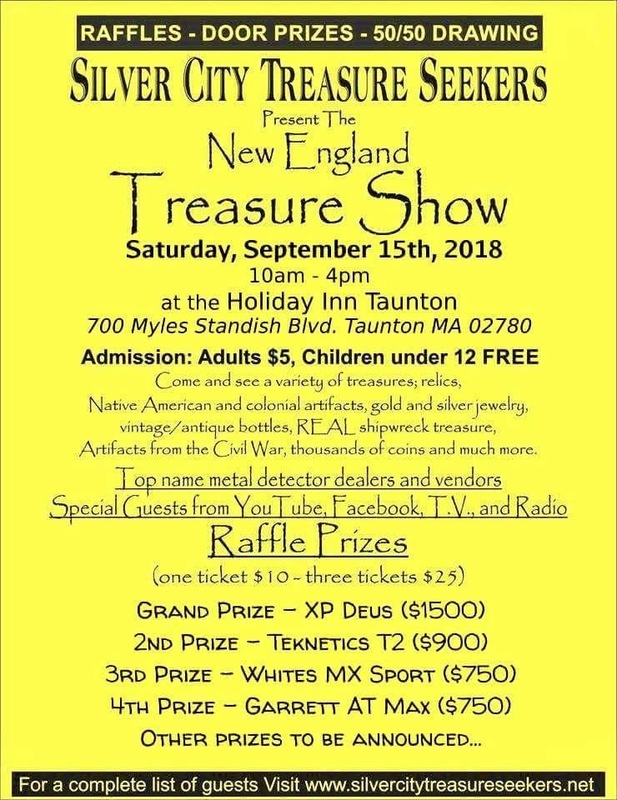 The Nor’Easters Metal Detecting Club out of Stamford, CT is having its Catskill Game Farm Hunt in New York this weekend (tomorrow, November 3rd, 2018). Rain or not, its a great opportunity to hunt this former tourist attraction/zoo. I think there may still be a few spots left, so if you’re interested go to www.noreasters.net. Even if you don’t regularly hunt in these areas, if you live within driving distance it’s a good idea to get one (they’re free), because you never know when an opportunity might present itself. Note: Don’t throw your old permit away, because they ask for the old one each year when you reapply. I was going to post this last Thursday before I went to Blackthorne Resorts Lost Treasure Weekend, but I had internet issues, so it didn’t get posted. I was disappointed, but it turned out to be a good thing in the end, because something happened that I never could have predicted, which makes the ending to this post so much better. So I got this package delivered a few weeks back, and it said Made in France on the box. A friend said that perhaps there was a little French man inside, so I checked. Nope, no French dude, but there was a new XP Deus–WooHoo!! !